Program any job using one software. 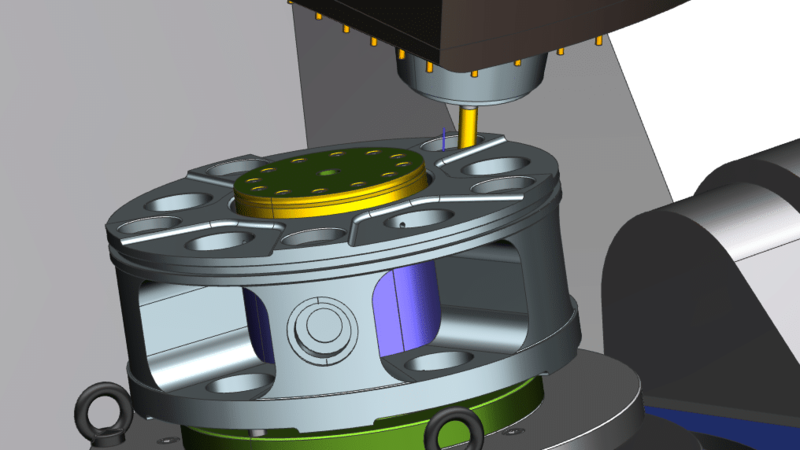 NX CAM provides comprehensive and integrated NC programming capabilities in a single system. This enables the use of consistent 3D models, data and processes to seamlessly connect planning and shop floor operations with a digital thread. You can streamline and automate NC programming, while reducing cycle time, using powerful, application-specific tools. 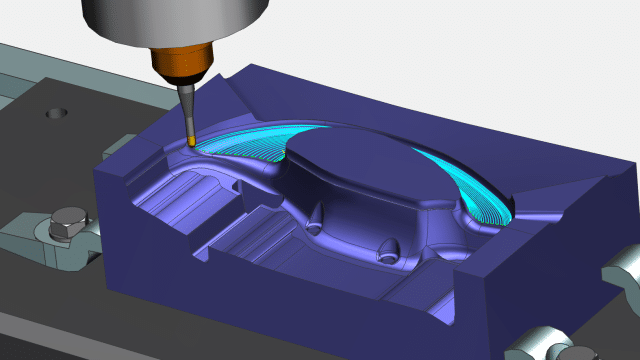 From 2.5-axis machining and mold manufacturing, to simultaneous 5-axis milling and high-volume production, NX allows you to use one CAM software to make better parts faster. Learn about advanced, integrated NC programming capabilities. 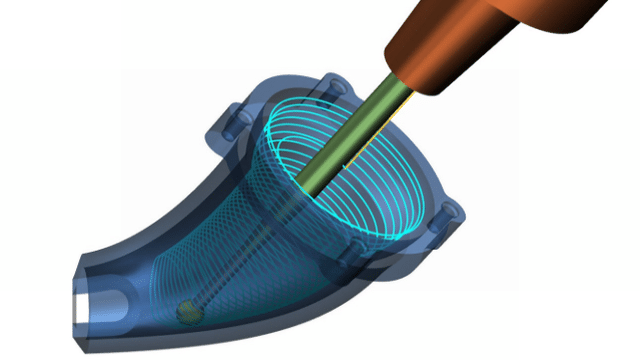 Create precisely controlled 5-axis tool paths to effectively machine complex geometries. Using application-specific capabilities, you can dramatically reduce programming time and create smart, collision-free cutting operations. 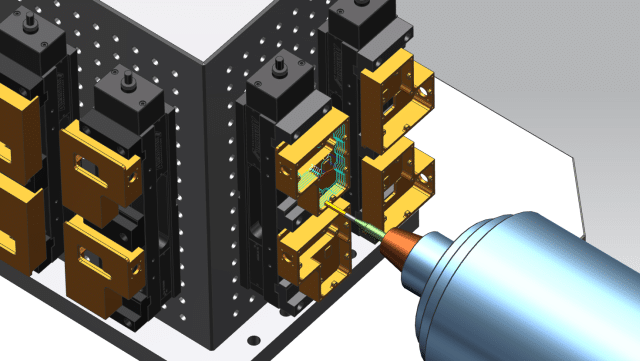 High-speed machining, automated rest milling, and smooth finishing methods help you produce molds and dies with a near-mirror finish, while reducing lead time. Quickly design and program electrodes using an automated process. Generate machine-ready NC programs for a wide range of machine tools and controls with a postprocessor embedded in your CAM software. Leverage the digital twin of your machines and processes to accurately validate manufacturing operations to reduce setup time and maximize machine uptime. 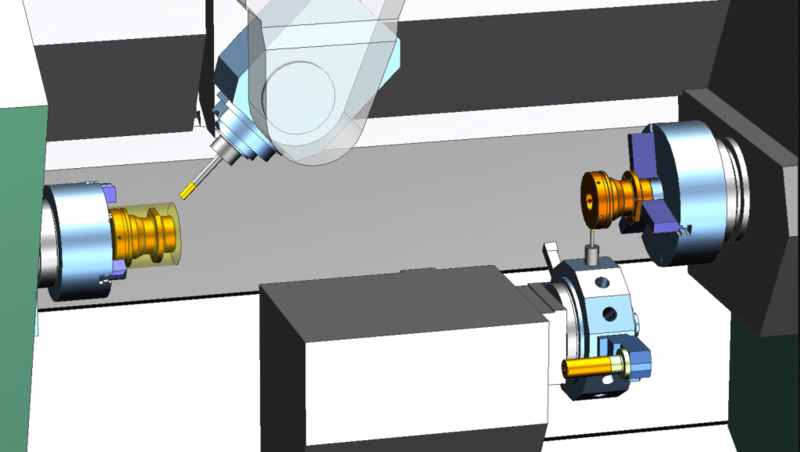 Minimize manual input and create optimized processes to machine precision parts. Advanced technologies, such as volume-based milling and automated feature recognition, can reduce programming time by up to 90 percent.